* ELEVATION PACKAGE * DOUBLE CAB * 4WD * BLUETOOTH * BACK-UP CAMERA * 20" WHEELS * FOG LAMPS * RUNNING BOARDS * TOWING BRAKE CONTROLLER * PROJECTOR-BEAM HEADLAMPS W/ LED * TOW PACKAGE * 1 OWNER CARFAX CERTIFIED * LOOKS GREAT! * MUST SEE! ! ! 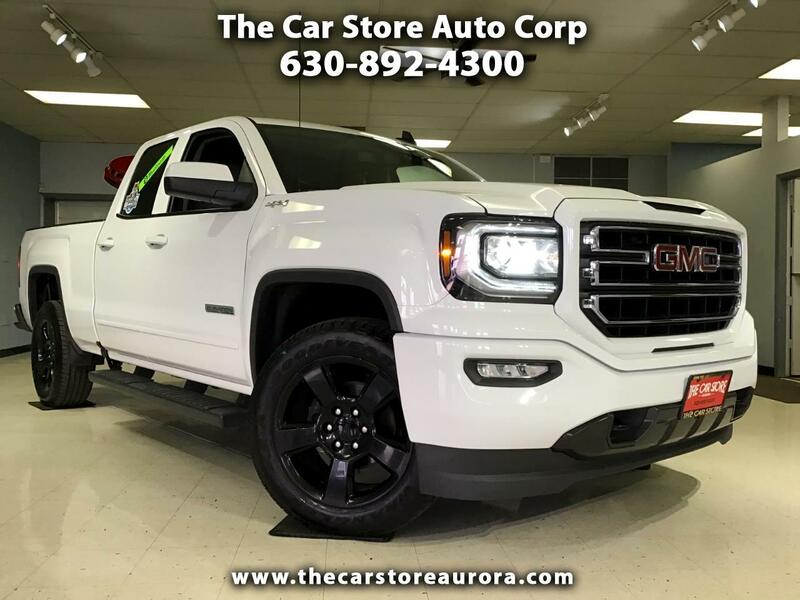 Don't miss this 2016 GMC Sierra Elevation 4WD Double Cab, take the whole crew with you! This Sierra comes with 4x4, Back up Camera, Bluetooth, LED Headlights, Running Boards and Elevation. This truck appears to have been very well taken care of. This Sharp looking Sierra won't last long! Come take it for a drive today! Buy with confidence from a Carfax Advantage Dealer with an A+ rating from the Better Business Bureau. Please visit our website for the most up-to-date information on this vehicle. Proudly serving the Aurora, Naperville, Oswego, Yorkville area for over 20 years. Prices subject to change without notice. Prices subject to change without notice. If you are looking for a 2015 Silverado LT LS Z71 Extended Cab Crew Cab Quad Cab, 2014 Sierra SLE SLT All Terrain Plus / 2013 SLS or 2011 2012 Ford F150 XLT Lariat SuperCab 2010 2009 Super Crew please call us for availability.